I'm fresh off of vacation and working the slightest hint of a tan so obviously I'm feeling a little saucy. It's also the dog days of summer which means its hot, so today I thought we would put both of these things to good use and look at some faux wrap came dresses. Skimpy, but with the right print, cut, and accessories it's a heck of an outfit. See what I mean with the cut and print? This dress has movement. 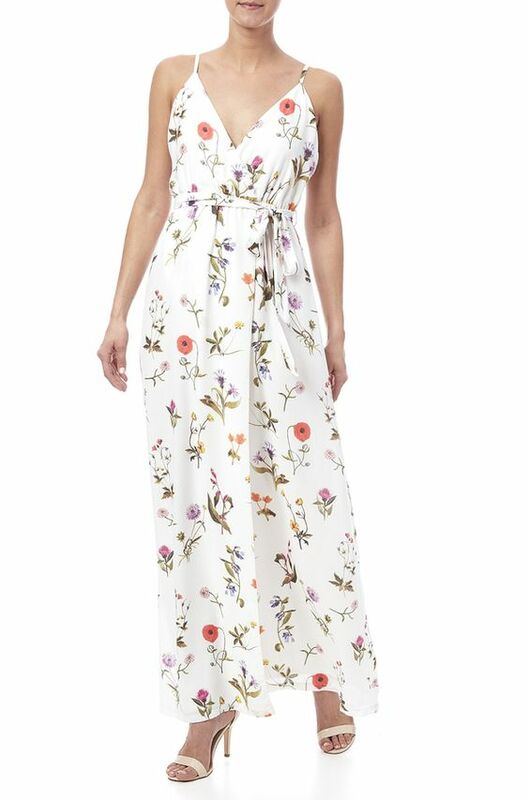 A beautiful dress for an outdoor summer wedding if you are looking to impress. Simple and perfect for triple digit heat index weather. 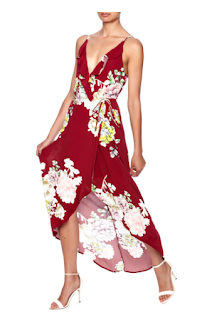 Such a summer dress. Lovely floral print with a crisp white canvas. When we are this deep into summer, break out the coolest dresses in your closet. These cami dresses will keep you cool and feeling sassy.